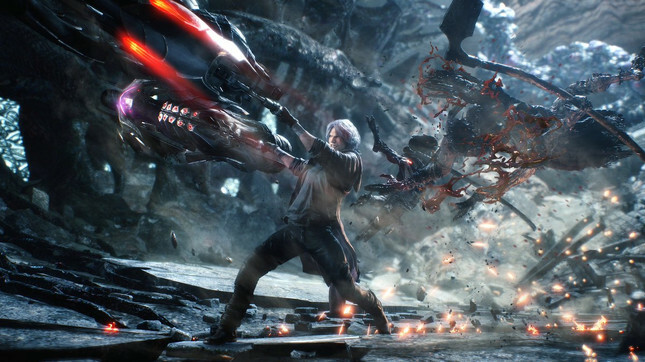 It's no secret that Devil May Cry 5 is a welcome return to the series roots and has seen a hugely positive reception from both fans and critics alike. The response has been so strong that Capcom has already shipped an impressive two million copies across all platforms since the game's launch just over two weeks ago. Capcom also confirmed that the game's release marks the second biggest PC launch for the company, falling behind the massively successful Monster Hunter: World. Capcom has recently been going from strength to strength with the critically acclaimed Resident Evil 2 Remaster and now Devil May Cry 5 both proving that single-player games are still alive and strong (somehow some companies still need to be reminded of this...). Next month will also see the release of Devil May Cry 5's Bloody Palace update, which will add a survival mode that pits players against hordes of increasingly challenging enemies and bosses while racing against the clock. If you're still on the fence about Devil May Cry 5, check out our review here. We absolutely loved it and called it the "definitive DMC experience [that] should be played by everyone looking for incredibly satisfying & stylish combat!"